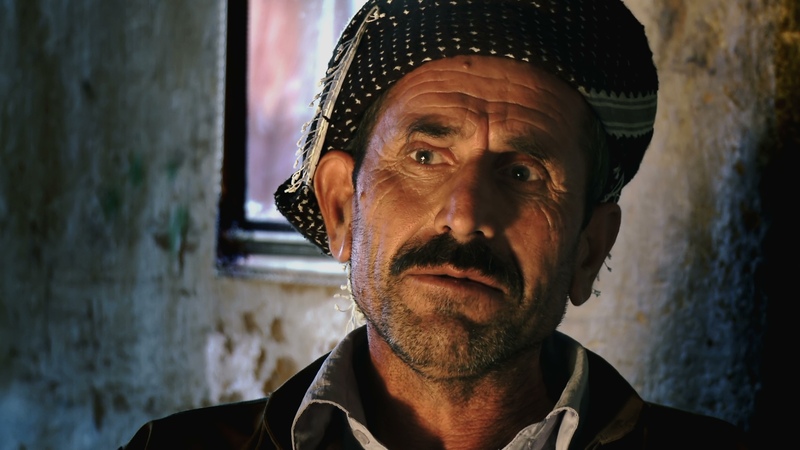 Documenting the Kurdish story for the world. The Barzani tribe had long been a thorn in the flesh of the Iraqi central government. Hostilities reached boiling point during the Iraq-Iran War when Saddam Hussein accused them of collaborating with the Iranians. 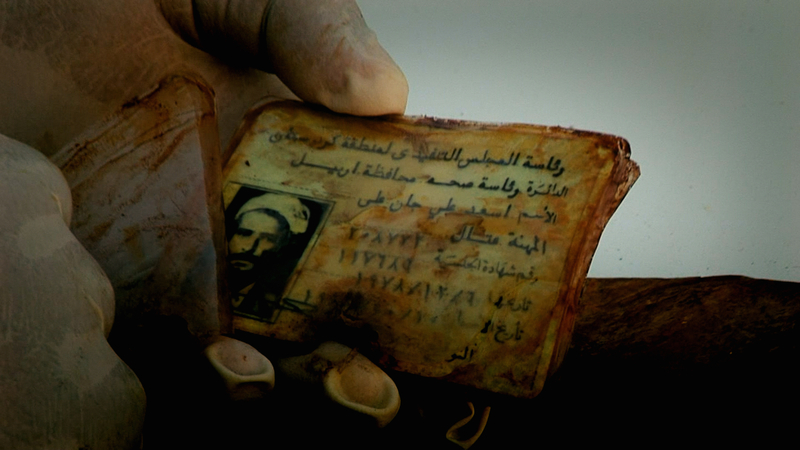 Soon afterwards between 5,000 and 8,000 Barzani tribesmen were abducted and never seen again. When jihadists from Islamic State of Iraq and Syria (ISIS) invaded the Sinjar region of northern Iraq in 2014 they committed genocide against the Yazidi population. One Yazidi family, the Chattos, survived their onslaught. The Iraqi attack on the Balisan valley was the first time a sovereign state had used chemical weapons on its own populace. Shocked villagers who survived the attack likened the experience to witnessing “doomsday”. In 1988 the Iraqi army launched a ferocious attack on Kurdish communities south of the Turkish border. Fleeing towards Turkey, the villagers of Kureme found their route blocked by Iraqi soldiers and were captured. The male villagers were put in front of a firing squad – yet six survived to tell their story. 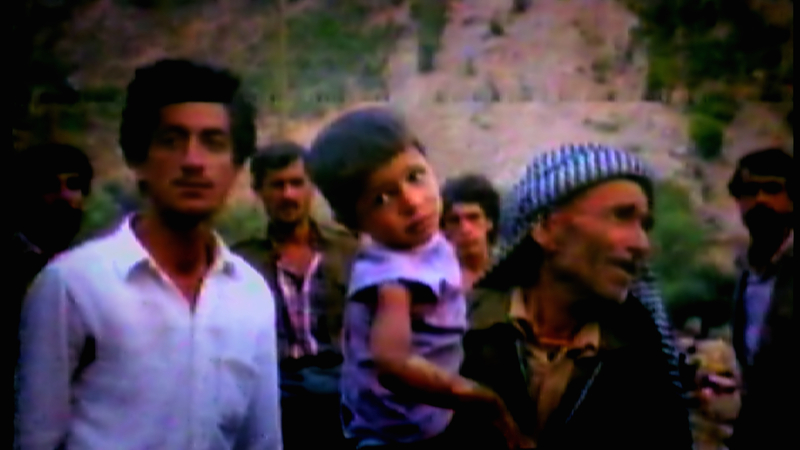 In the 1980s Kulajo gave unstinting support to the Kurdish resistance and for this its people were punished by Saddam Hussein. Villagers were transported to prison camps and many were later executed. Yet some lived to tell extraordinary stories of survival. Balisan villagers refused to believe their own government would gas them. 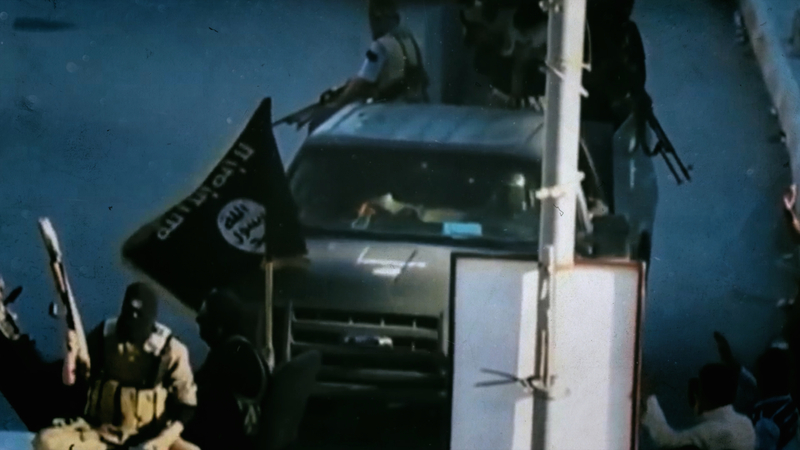 The decision to stay in his home after the attack almost cost ALI SHEIKH MUSTAFA his life. 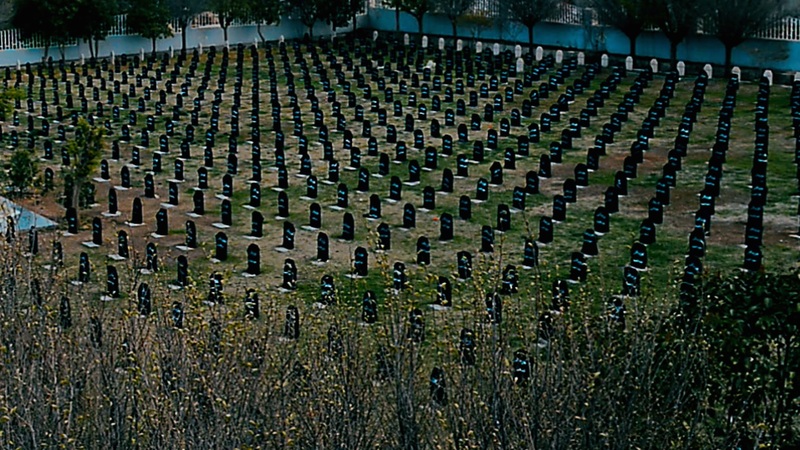 When chemical bombs rained down on Balisan in Iraqi Kurdistan on 16 April 1987, most villagers refused to believe that the Iraqi government could gas its own people. It was a mistake that cost scores of lives. Balisan had been bombed many times before. A large village of 300 houses, by 1987 it had shrunk to 42 families as people fled to the mountains. But until that day only conventional explosives had ever been used. Ali Sheikh Mustafa had just returned home at sunset from working in the family fruit orchard and was not that surprised when he saw eight planes circling overhead. Knowing they were about to be attacked, Ali urged his family to take cover in an air raid shelter he had built inside the house. He stood in the doorway watching the bombs drop. He noticed that the sound of the explosions was unusual: rather than pulverising the mud brick houses, they exploded like water-filled jerry cans. After the planes had gone, Ali gathered his family in one room and, as a precaution, hung a wet curtain across the window and door. Instructing his family to stay inside, Ali hurried out to help his neighbours. One of the bombs had left an oily substance, a puddle of about 10 square metres in size, on the ground, a tell tale sign of mustard gas. Villagers still refused to believe they had been attacked with chemical weapons. So instead of running for their lives they returned to their homes. As they slept the children and adults began to vomit and the chilling and inescapable truth dawned on the villagers of Balisan: the village had been gassed. As dawn broke, Ali realised that almost everyone had been blinded by the chemicals and that the Iraqi army would soon move in to Balisan. They knew that the regime would be merciless. Because of their support for the peshmerga, they were all classified as ‘saboteurs’ and would face imprisonment and worse if captured. ALI SHEIKH MUSTAFA was at home in Balisan with his wife Adiba and their children when chemical bombs fell in 1987. He told Adiba to protect the children with wet blankets before venturing out into the village at night to discover many of his neighbours had died. By then many villagers were unconscious. ‘There were about 15 people with me. May God rest their souls in peace, they are all dead.’ All the surviving gas victims were ferried on tractors to a hospital in Raniya, a town about 130 km northeast of Sulaimaniya. After being given eyedrops by medics, Ali lapsed into unconsciousness. His life was saved by a fellow Kurd who, desperate to help, moved him out of the hospital before the Iraqi security forces could intervene and drove him away in a hired car. When Ali woke up three days later, he discovered he had been moved with two other Kurds to a hospital in Sulaimaniya. But his family had been left behind. Ali and his two companions, all blinded, spent the night at the home of a Kurd who had taken pity on them at the hospital. Next day they returned for treatment and a Kurdish doctor agreed to help them secretly. He never revealed his name for fear of arrest. The three men were eventually discovered and interrogated by Iraqi security officials but insisted they were simple farmers. A hospital nurse eventually contacted Ali’s family and then smuggled them out of the building under the noses of the Iraqi authorities. ‘We left there still wearing hospital dress,’ says Ali. Ali was later called as a witness at Saddam Hussein’s trial in Baghdad in 2006. ‘I was so happy I couldn’t speak,’ says Ali. Balisan is a large village situated near the town of Ruwanduz. 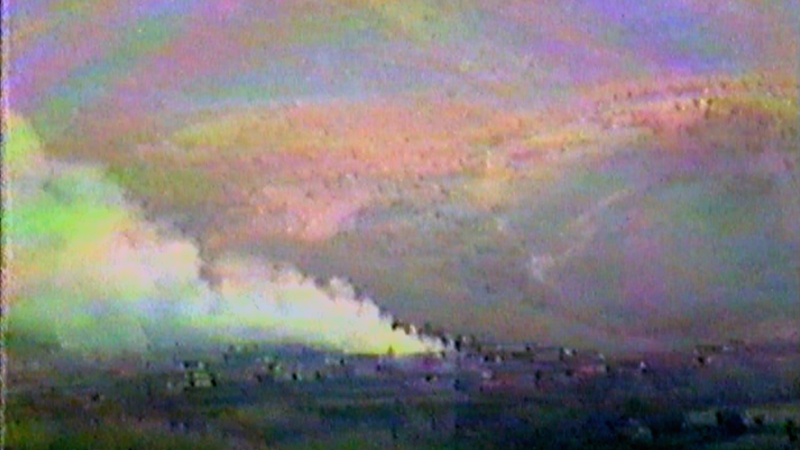 Poison gas was dropped on the village during a government attack In April 1987. We would like to share Kurdish stories and project updates with you. Don’t worry. We won’t overload you with messages or sell your data, and you can unsubscribe at any time. Copyright © Kurdistan Memory Programme, 2008 – 2019. All rights reserved. Copyrighted image – no reproduction without permissions.